Microsoft’s founding fathers are finally receding into the middle distance. Satya Nadella’s experience makes him a solid choice to succeed longtime Chief Executive Steven Ballmer. Better still, he will have greater room to maneuver as Bill Gates steps down as chairman. Nadella will need to grapple with his predecessors’ bad decisions, like the Nokia deal, and he’s unlikely to pursue a breakup. But he can focus on what the company does best. While many candidates entered the frame, it was always going to be a difficult post to fill. Microsoft spans everything from its omnipresent operating system to enterprise software to consumer hardware. It’s also threatened by upstarts and a shift in technology away from PCs. Finding a manager that understands technology, all these markets and has skills in revitalizing a mature behemoth was close to impossible. Worse, the decision to buy Nokia’s handsets arm for $7.2 billion in the midst of the search showed that Microsoft’s board was wedded to the sprawl built by Gates and Ballmer. Few credible outsiders wanted to step into a position where they had little say over the company’s direction. In this light, Nadella’s choice is probably as good as the company could make. He has worked for Microsoft since 1992, so he knows the place. His most recent task was to run Microsoft’s cloud and enterprise group. This is one of the fastest growing divisions at Microsoft and represents the company’s future – selling software on demand to companies. He doesn’t have sales experience or much interaction with investors, which is important for a $303 billion market cap company. But Microsoft’s bench has enough depth to make up for these shortfalls. The bigger question is where Nadella will take Microsoft. He didn’t give many hints in his opening memo to employees. 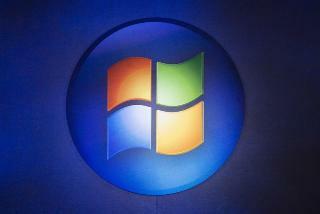 The right course would be to focus on enterprise software, which is what Microsoft does best. A breakup or spinoff of the consumer and hardware operations would be welcome. But with Ballmer still on the board and holding some 4 percent of the company, and Gates remaining as the board’s technology adviser to “devote more time to the company,” such radical redrawing will be hard to accomplish any time soon. But the message is unmistakable. The old guard is slipping into the background. That gives Nadella room to slowly turn Microsoft toward a more focused, and potentially valuable, future. Microsoft, whose Windows operating system dominates the world's personal computer market, last week trumped all other forms of capital by raising US$1.15bn from the sale of a convertible bond on which it will pay no interest during the next three years. On Feb. 4, Microsoft announced it had appointed Satya Nadella as chief executive officer, effective immediately. Nadella previously was in charge of the company’s Cloud and Enterprise group.